Our parents LOVE the notification they get when their child is checked-in or checked-out. PLUS attendance reports are at our fingertips and saves us a lot of paper work. WIN-WIN! 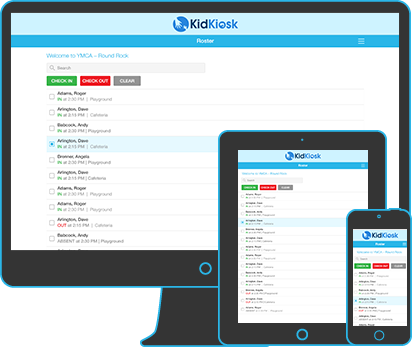 Using KidKiosk has really made our lives easier here at camp. We check the kids in and out using our smart phones and never have to worry about not being there for a parent or a child whether they are dropping off on time or later in the day or with an early pick up. It flows with our internal process so well and has cut down on paperwork and time-consuming reporting. WE HAVE ALL THE FEATURES YOU NEED! 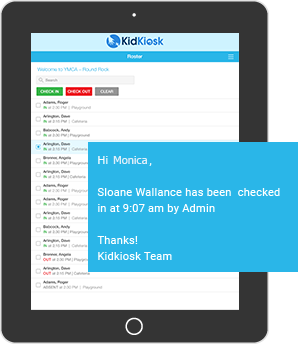 Parents receive instant notification when their child is checked-in or checked-out. No more guess work! 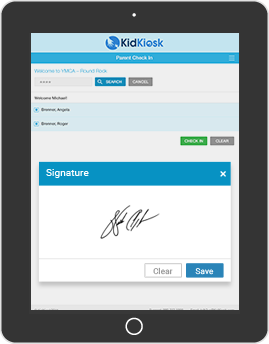 Our 4-digit PIN with e-signatures make student check-in/check-out private, secure and traceable. 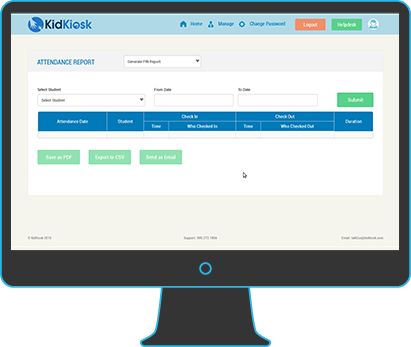 Our flexible attendance reporting is instant and easy!